Our spring bucket list was our best yet, so our summer bucket list is a little ambitious! There's lots for us to look forward to over the summer and I can't wait to get started. 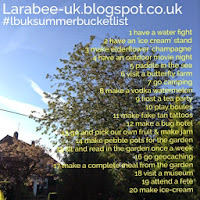 I have made a Summer bucket list....Scheduled to post later this week! I'm so looking forward to completing it. Fab! 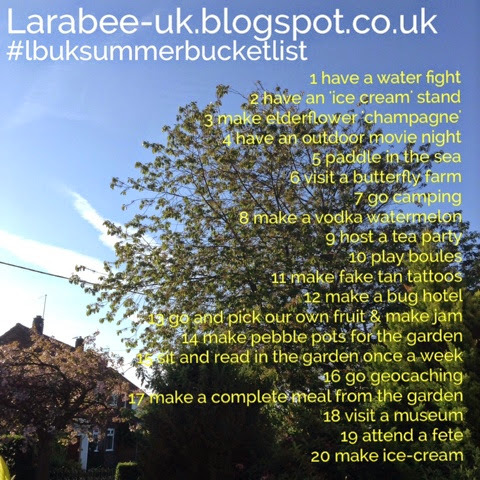 I'll look out for that then ;) I love seeing other peoples bucket lists and getting ideas!